We ship our N2O Chargers and Whip Cream Dispensers from either our facilities in Ft. Lauderdale, Florida or from San Carlos, California, depending on which ever is closer to you. 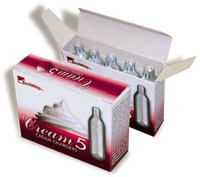 This ensures fast delivery of all our nitrous oxide chargers, whip cream dispensers and soda syphons. 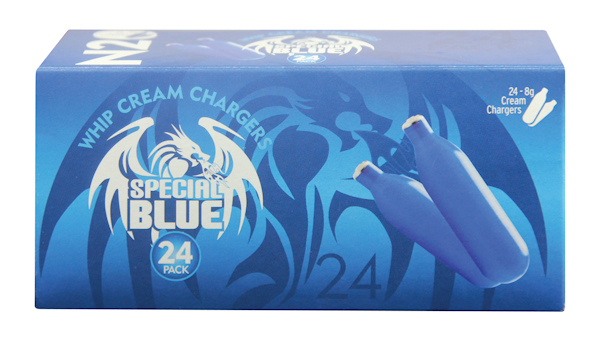 Each box of Special Blue brand nitrous oxide chargers contains twenty four (24) 8 gm N2O Chargers that will fit in every whip cream dispenser we carry and that is available on the market.